High School. While in New York she worked for the ATF, McMillian Publishing Company and Colgate in Manhattan, NY as an executive secretary. Upon moving to Florida, she began working as an executive secretary for ex-football player, Kellun Winslow at Disney World. She loved her job until retirement and enjoyed the sun for a couple years. Later she resided in New Jersey with her daughter Kim and then in North Carolina with her son Tony and his wife Lorretta for her remaining years. To know Joan was to love her. What a beautiful spirit. She had a green thumb for plants and loved listening to jazz, eating seafood, drinking good wine, loved to dance, enjoyed outdoor concerts and eating at her favorite restaurant Red Lobster. Her favorite singer was Isaac Hayes and her favorite color was red. She had traveling buddies and she traveled up until last year. She danced a little shuffle on her last day. She was a mother, grandmother, sister, aunt, mother-in-law, and friend to many. She will be truely missed by all. Joan along with her parents was predeceased by her siblings John, Edith, George, James, Charles and Frankle. 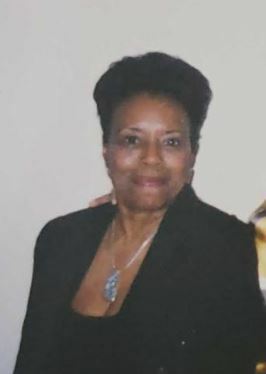 She was survived by 2 children, Kim Murrell and Anthony Murrell (Lorretta); granddaughter, Tenine C. Delfin (Gabriel); 2 great granddaughters, Essence Delfin and LeAure Delfine; 2 god children, Robin Walker and Domonique Walker; nieces and nephews, Linda, Gail, Jerry, Shelia, Dyneil, George; good friends, Barbara Walker of New York, Joyce Day of North Carolina, Jean of South Carolina, Jenny of New York, Ana of Florida, Lucy of Florida, Pat of Florida and a host of beloved relatives and friends. Our Condolences go out to the Murrell Family. The passing of Joan is sudden, but she will be long remembered by all of us. My best friend I will miss so very much. She was such a special person! Always positive and upbeat. So sorry to hear of Joan’s passing. She had the greatest laugh ever and what a wonderful person and friend she was. Thoughts for her family, Daughter, son, granddaughter and grandchildren. May you be comforted by special memories…. My thoughts and prayers to Joan’s family. I have so many wonderful memories of Joan. She was an awesome friend and her smile was priceless. Rest in peace dear friend.